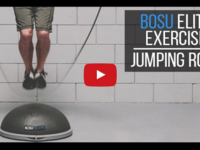 The BOSU® Elite's dome provides greater return (feedback) when performing agility and ballistic exercises. It also enables you to engage the dome with impact forces many times greater than your body weight to enhance speed, agility, and explosive power. 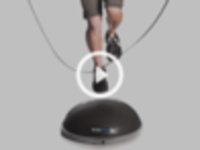 If you're interested in learning more about the BOSU® Elite by WeckMethod, or want to purchase another one of our products, click on the 'GET THE BOSU® ELITE' button to visit our shopping page.